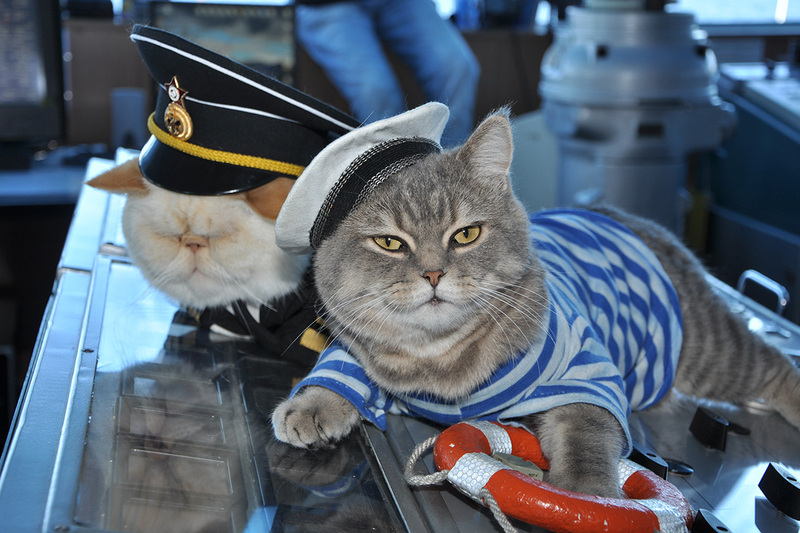 While the captain of the Russian river cruise ship Nikolai Chernyshevsky gives orders, two employees do not follow the commands and continue sleeping. No dogs allowed on board! The cruise ship, owned by the company VODOHOD, is plying the waters from Moscow to St. Petersburg and back. It is famous for a couple of feline workers: two cats that have become local stars. 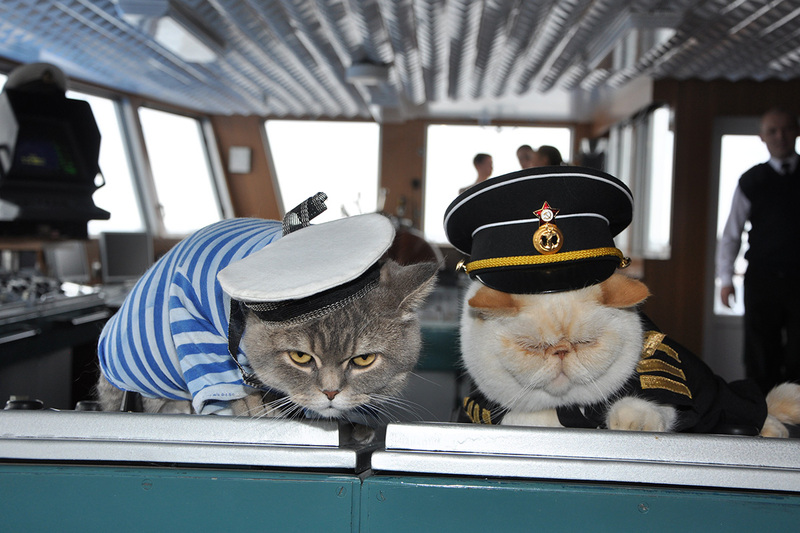 One cat is called Botsman (left), which is Russian for 'boatswain'. 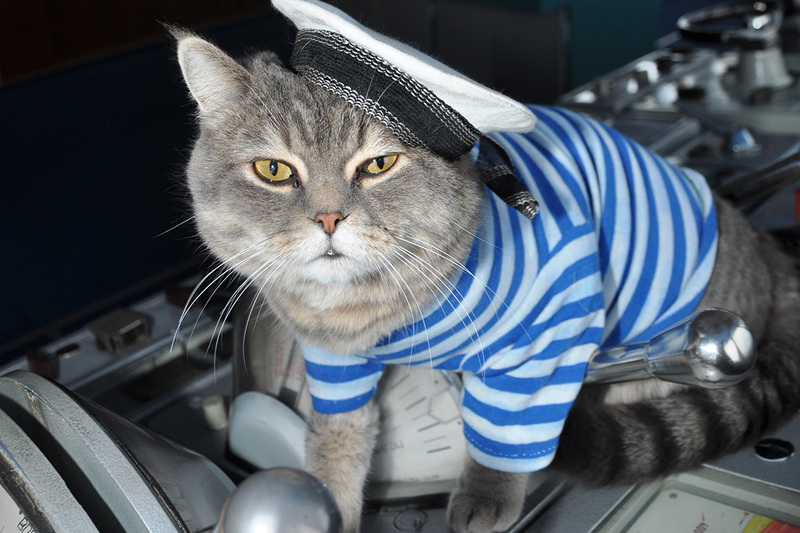 The other cat’s name is Matros, (Russian for "deckhand"). 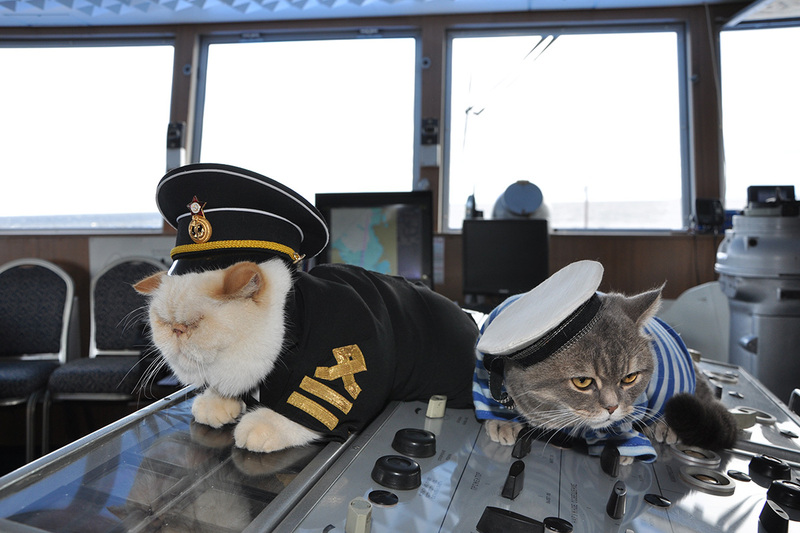 During the winter the cats live in the captain’s home. 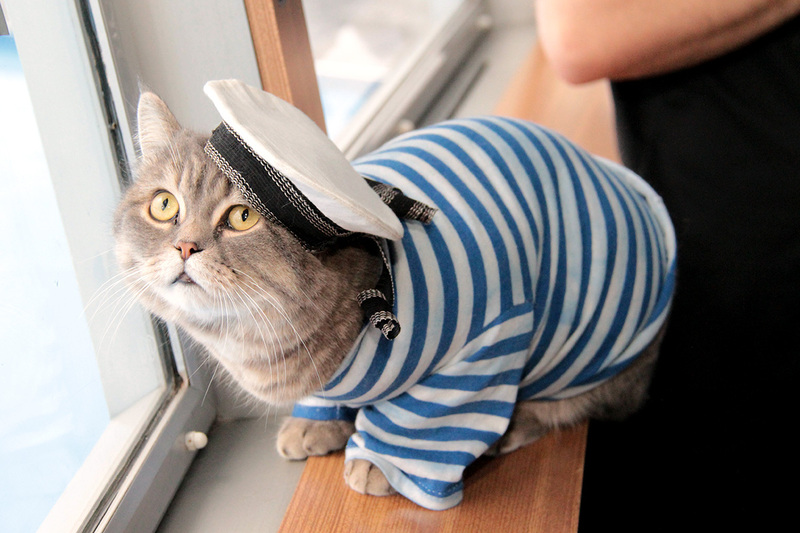 It is no coincidence that his name is Vladimir Kotin (‘kot’ in Russian is ‘cat’). 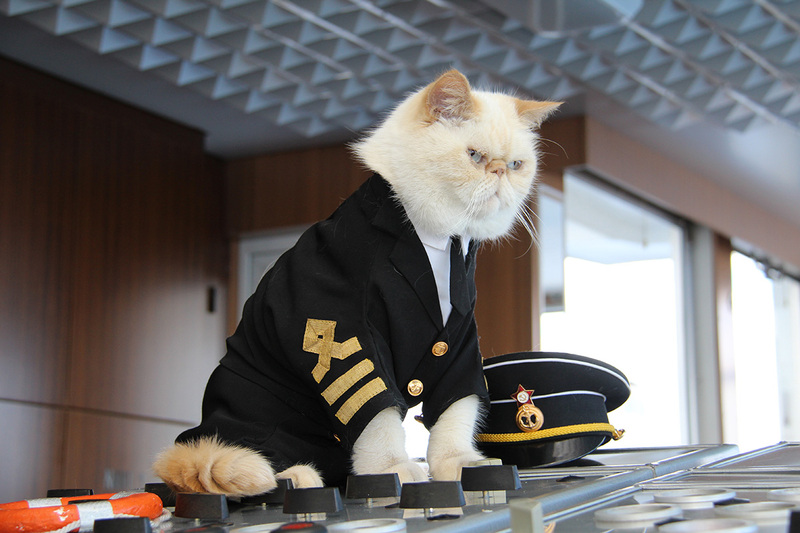 The passengers’ beloved pets are often seen sleeping in the captain’s deckhouse. Each cat has its own outfit, but Botsman mainly prefers to play with his peak cap instead of wearing it.